Terry Spear and I stayed at the Palmer House Hotel this week. We picked it because it was supposed to be haunted and it's a beautiful hotel. We didn't see any ghosts so I added one to the picture I took. I think if I saw her beside the elevator, I wouldn't be getting on that elevator. 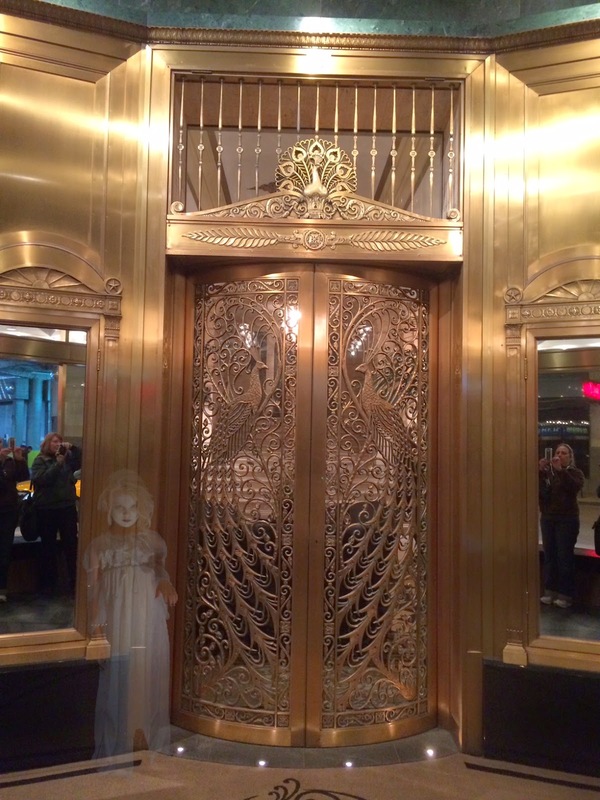 Which is a beautiful elevator, by the way! So, where is the Palmer House Hotel located? Stacy, it's downtown Chicago. It's a cool hotel. They have pictures of celebrities who performed in their lounge on the walls. I added the ghost to the picture. We were disappointed there wasn't any real ones.